3 genius tips to keep tomatoes fresh longer + favorite tomato recipes! Science has found out how to make our garden-fresh tomatoes stay fresher and tastier longer! Here’s that info, with some of my favorite recipes. In a slump? Try these berry desserts! It’s the time of year that I begin looking forward to the reawakening of farmers markets in every town, with baskets full of greens, peas, berries, tomatoes and squash. What a pleasure to see the colorful sights, smell the scents of the fresh produce and the baked goods, and listen to the people chat with the farmers about what they’ve brought to the market and how “their mama and them” are doing. 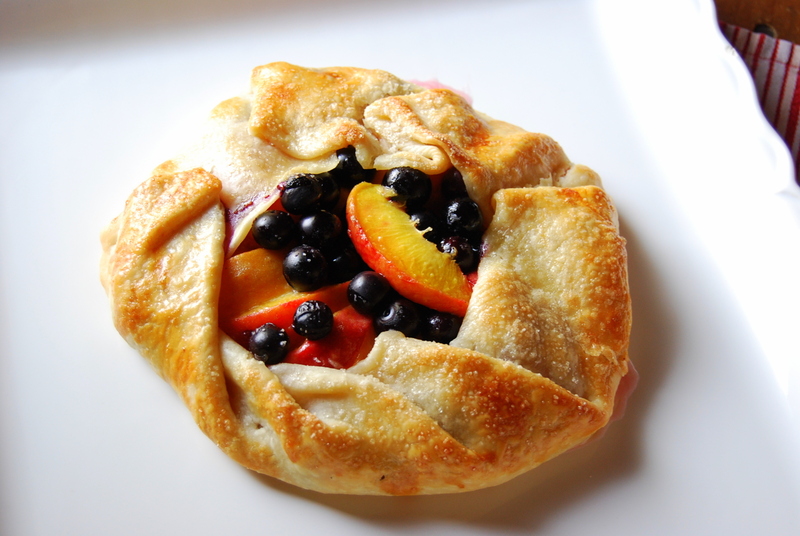 When the summer progresses and the berries come in, make sure you make a few different things with them. I enjoy frozen blueberries added to Greek yogurt for breakfast, and of course muffins and pancakes. Below, I’ll share several links to berry recipes I love, right after I share this, a favorite Martha Stewart recipe for a mixed berry slump that cooks right on the stovetop! 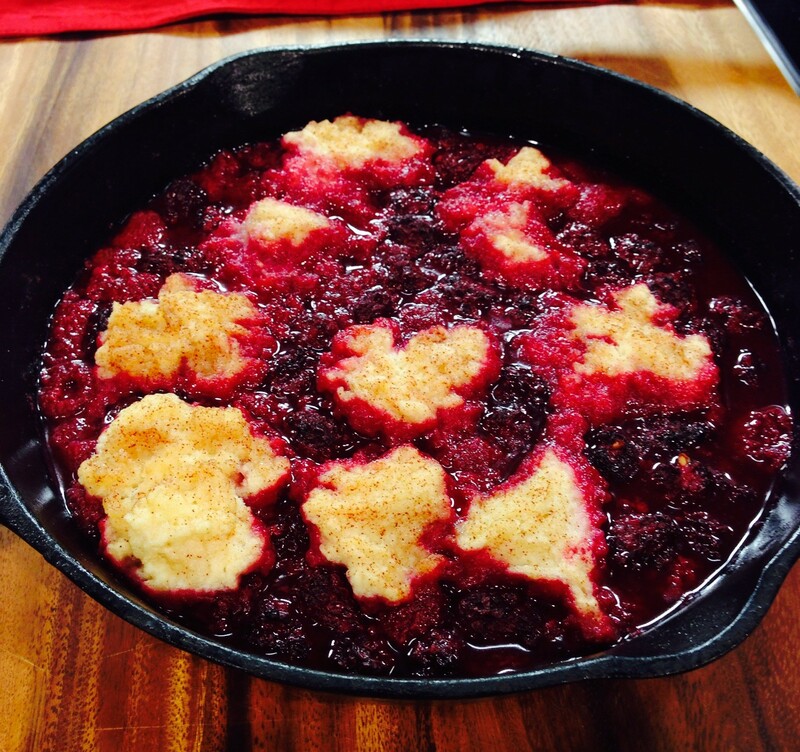 Make this easy, stovetop version of cobbler in a cast iron skillet, or any skillet with steep sides, and have dessert ready in no time. Serve with whipped cream or ice cream for an extra-delicious treat. 1.Combine flour, baking powder, cinnamon and salt in mixing bowl. add milk and melted butter, and stir into a thick batter. Set aside. 2. Place berries in large bowl, and sprinkle with lemon juice, ginger, water and sugar. Gently stir to coat berries. 3. Place berries in skillet, cover, and bring to a boil over medium heat, stirring several times. 4. Drop six to eight dollops of batter on top of berry mixture, not allowing dumplings to touch. 5. Sprinkle dumplings with the cinnamon-sugar topping. 6. Cover, reduce heat to medium-low, continuing to gently simmer. Cook about 15 minutes, until dumplings appear to be cooked through and the juices of the fruit are bubbling around them. Serve warm with a drizzle of heavy cream, whipped cream or ice cream. I hope you enjoy these recipes and find a new favorite! Get out there and get those berries as soon as they’re ready in your area! Much to the dismay of some of my English students over the years, I love to write a poem…to work at it until the words and images and cadence sound and feel right to me. That’s how I feel when I write a recipe, too. Sometimes you have a day when the muse has left, and nothing works. Nothing you can add, no technique you can use, makes the recipe or poem right. But some days, everything flows and ingredients cooperate with one another and the thing I wanted to express all along…well, it’s there. The muse returns. 1. Combine butter and sugar in medium mixing bowl. Stir in graham cracker crumbs and pecans until well combined. 2. Press onto bottom of a lightly-greased 13.9 pan. Bake for 12 minutes at 350. Crust will be lightly browned. Set aside. 1. In a large skillet, place 2 TBS butter over medium heat, and melt completely. 2. Place one cup of crushed pecans into skillet with the butter, and allow to toast for several minutes, shaking very often. As soon as the pecans start to release a nutty fragrance, remove from heat so pecans don’t burn. Set aside. 1/4 tsp each: ground ginger, nutmeg, and cloves. 1. In a large mixing bowl, stir together eggs, sweet potatoes, and sour cream. 2. When blended, stir in the sugar, flour and spices. Stir until smooth. 3. Add Milk, and stir until combined. 1. Pour sweet potato mixture into the pre-baked crust. Smooth the top and bake in 350 degree oven for about 25 minutes, until a knife inserted in the center comes out clean. 2. 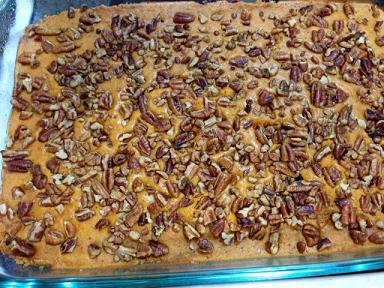 Immediately distribute the pecans over the top of the bars, covering the top evenly. 3. Gently press the pecans into the potatoes a bit. This must be done while mixture is still hot, or they will not adhere. 4. Cool completely before cutting. Store in refrigerator. These little appetizers are simple to prepare, as they use packaged crescent roll dough. 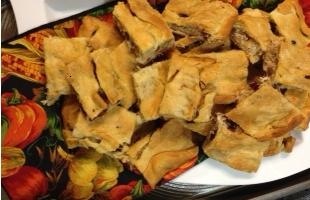 You’re most welcome to try your homemade dough and just use the filling recipe; the filling makes good use of the holiday flavors that we all love so much…simple, traditional, and delicious. Unroll one tube of crescent roll dough and press into small baking sheet, pressing together at creases until you have a solid sheet of dough. Saute the celery and onion in the olive oil in a large frying pan or skillet. When onions are translucent, add the turkey, sage, and garlic, and allow to warm for a few minutes over medium heat. Spread the turkey mixture over the dough in the pan, leaving about a one-inch border around the sides. Press dough around outside edges to seal. Bake at 375 for approximately 20 minutes, until top is golden brown. Cool for about 10 minutes. Cut into squares while still warm. This simple dessert recipe is perfect for a cold evening when you want something sweet but don’t want to go to a lot of trouble. The scent that will fill your house while this dessert bakes is fantastic, too! 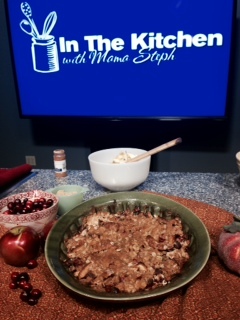 Place apples, 1/2 cup brown sugar, cranberries and cinnamon in a large mixing bowl. Toss to coat apple slices well. Pour mixture into buttered or cooking-sprayed 8 or 9- inch baking dish. Place first three topping ingredients into the bowl next, stirring to combine. Add butter to topping ingredients in bowl, and incorporate with fork or pastry blender. When butter is broken up, sprinkle topping mixture over the apple mixture. Bake at 375 for 45-55 minutes, until apples are tender and top is nicely browned. If your crisp is browning but your apples don’t feel soft enough to you, cover loosely with foil and bake, checking often for doneness. Add 1/2 cup chopped pecans to your topping mix if you like. Add more oats to topping mix if you would like even more crunch. 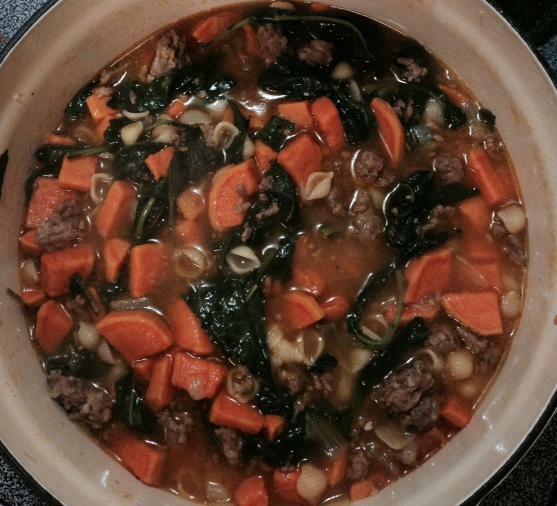 Here’s my recipe for a soup with a perfect combination of flavors: sweet potatoes, greens, and sausage. In this case, the greens are baby kale, but you can substitute your favorite, whether spinach, turnip greens, or whatever you like most. The ingredients cry out to be served with generous piece of cornbread! 1. Heat the oil in Dutch oven or large soup pot. Add onions and garlic, and saute until onions are translucent. 2. Add the ground sausage and red pepper flakes, if using, and cook until no pink remains in the meat. 3. Add the diced sweet potatoes, broth, 2 cups water, and bring to a boil. 4. Add pasta, and cook for 4 minutes. Reduce pot to a gentle simmer. Top with grated Parmesan and croutons. Here is an easy recipe that you and your family will enjoy. If there are leftovers, they are even better the next day! It will also look gorgeous in a soup tureen on your holiday table. In a Dutch oven or stock pot, crumble sausage and brown over medium heat. Drain on paper towels when no pink remains. Return meat to pot, and add chopped onions and mushrooms. Cook for a couple of minutes until onions are translucent, then stir in the garlic and allow to warm for a minute. Stir in canned pumpkin, cup of water and the quart of broth. Stir until pumpkin is incorporated well. Before serving, add cream and sour cream, stirring into soup. If soup is too thick for your taste, mix in 1/2 cup broth or water. Pour into soup tureen or other serving vessel and enjoy! Note: I didn’t need to salt this, but please taste at the end and salt if you feel it is needed. Salt content comes from broth and sausage, and that will vary by brand. 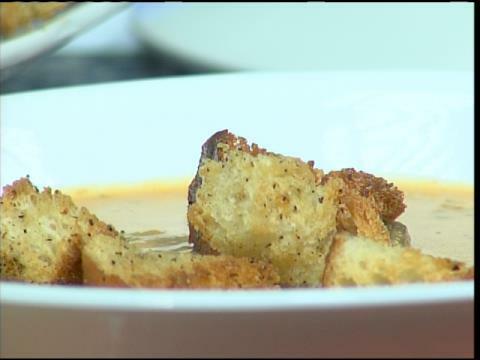 Serve topped with croutons and enjoy! On a cutting board, chop a loaf of French or Italian bread into cubes and place in mixing bowl. Drizzle with generous amount of olive oil. Sprinkle all with a little salt, some cracked pepper and red pepper flakes. Toss to coat all bread pieces, and spread out on cookie sheet in a single layer. Bake at 400 degrees for 15 minutes until toasted and lightly browned. I hope you’ll use some of your holiday leftovers to try whichever recipes sound best to you! Also, you can get a turkey pretty inexpensively in the next few days, as grocers attempt to get rid of the overstock that didn’t sell during the holidays. That would be a good way to save money, if you have space in the freezer or are ready to create some recipes of your own! 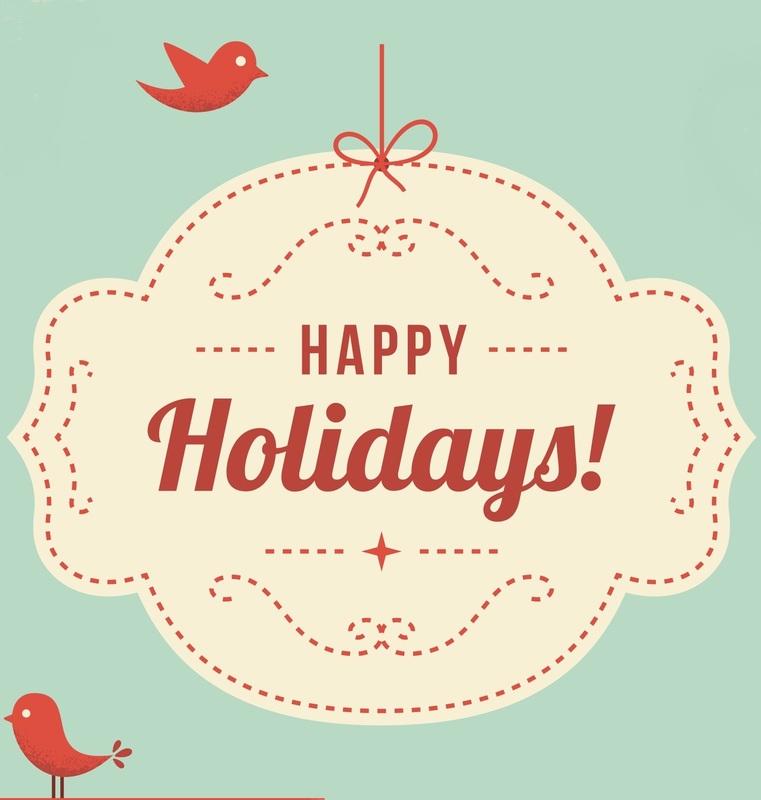 Happy holidays to you all! Christmas, Hanukkah, Kwanzaa, Boxing Day… wherever you are, however you’re celebrating, may God bless you and yours with peace and all good things.